The classic cheese platter is a party staple. Perfect for any season and suitable for any tastes, you can customize it exactly to your liking, and make it a million different ways. We often kick off a dinner or company gathering with a cheese spread, and not only just to show off our merchandise, but because it's simple, delicious, and always a crowd-pleaser. 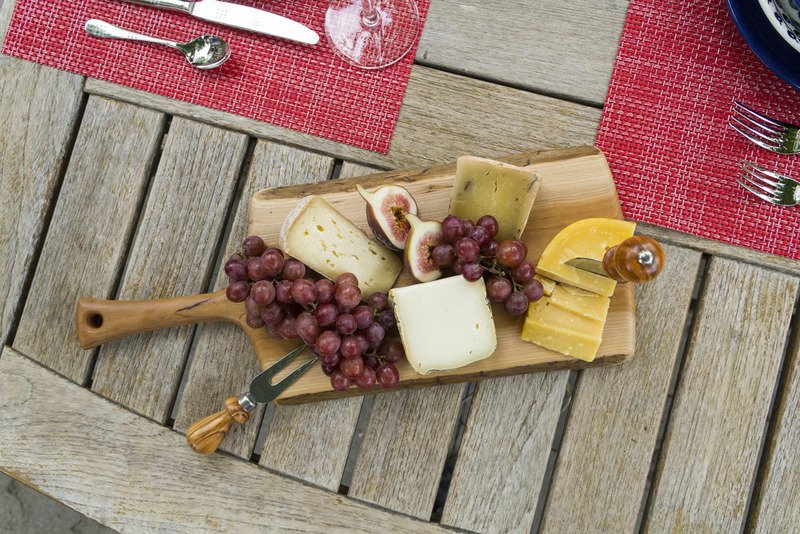 This particular cheese platter made an appearance at a summer barbecue with our Didriks crew earlier this year. We picked a beloved Spencer Peterman 18" Cherry Board to serve some cheese and fruit on, and paired that with the beautiful and versatile Berti Piccoli Italiani cheese knives. These particular cheeses, as they so often do, came from Formaggio. A wonderful start to a summer -- or anytime -- meal!